James Spink – Vermont litigator focusing on mediation and arbitration - partner at Sheehey Furlong & Behm P.C. 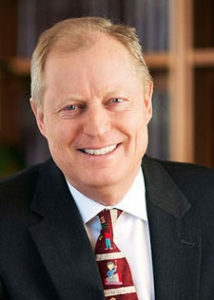 James W. Spink joined the firm in 2011 and is a principal of the firm. James is a seasoned trial lawyer with 35 years of experience and has tried in excess of 125 cases to verdict. His areas of focus include chemical exposure and complex tort claims, transportation cases and catastrophic personal injury claims. While he maintains a litigation practice, James’ current professional activity is devoted to mediations and arbitrations. He has performed over 3,000 mediations, early neutral evaluations, and evidentiary hearings at arbitration over the years, both as a sole arbitrator and, typically, as the third or “neutral” arbitrator in a three-member panel. James is recognized in the peer reviewed publication The Best Lawyers in America and was named 2011 and 2013 Lawyer of the Year for Alternative Dispute Resolution, Burlington, Vermont. He is also recognized by Chambers USA for Litigation: General Commercial Department and by Super Lawyers for Alternative Dispute Resolution. He is a Fellow of the American College of Trial Lawyers and is a member of the National Association of Distinguished Neutrals.